Founded in 1947 and family run for three generations, the legendary Buccaneer blends old-world charms with warm hospitality and amenities expected by today's traveler. 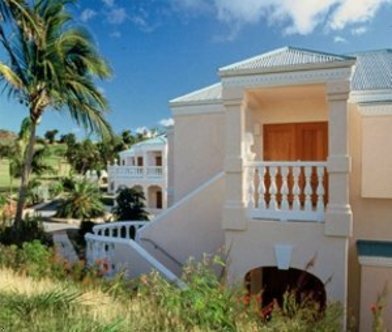 The Buccaneer is St.Croix's only four star oceanfront resort. Completely self-contained, it offers a challenging 18-hole golf course, 8 superb tennis courts, 3 exquisite beaches, 4 restaurants, water sports center, health spa, fitness center, and Kids' Club, all located on a private 340 acre tropical estate. It is renowned as a friendly vacation spot for couples, families and honeymooners. Spacious, elegant accommodations are placed throughout the property with expansive terraces and impressive views. The historic Great House main building sits atop a hillside overlooking the Caribbean Sea and Christiansted Harbor. The resort is constructed around building which dates to 1653 its architecture and history reflect the rich heritage of St.Croix. It is located less than a five minutes drive to the historic town of Christiansted, where sightseeing, duty-free shopping and fine dining can be found.